Spring wheat country (Dakotas/Minnesota) hit hard by powerful, late-season blizzard. Commodities market broadly in positive territory on Friday buoyed by a weaker dollar. Near-term support driven by weaker dollar and weather; supply remains strong. 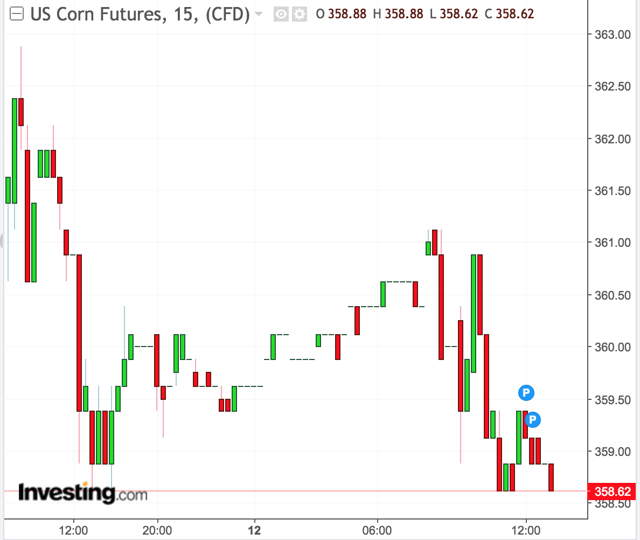 Grain market finishes higher on an up/down day; downside risk still outweighs upside potential. Outside of today's weaker dollar and unfavorable weather in the Plains/Upper Midwest, downside risk still outweighs upside potential led by strong crop supply and the lingering uncertainties surrounding the U.S.-China trade talks. Friday's market activity showed just how much risk to the downside that's being weighed on the market. 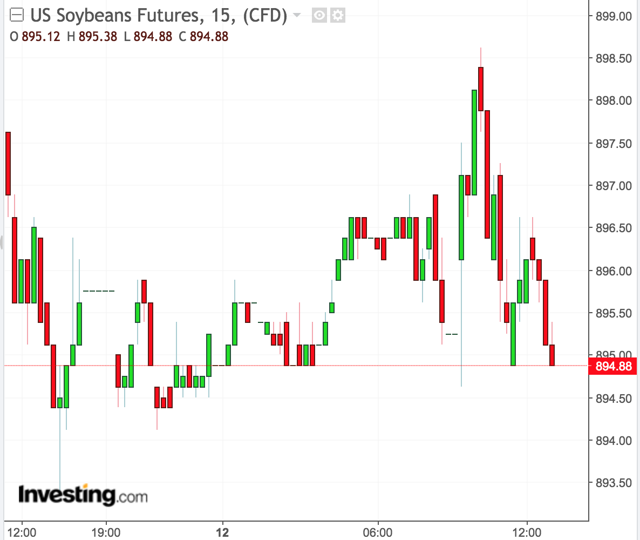 After the overnight hours posted moderately positive gains for the grains, the day was choppy with prices going up and down. Ultimately, it was a positive day with wheat leading the way while corn and soybeans were barely able to eke out gains. 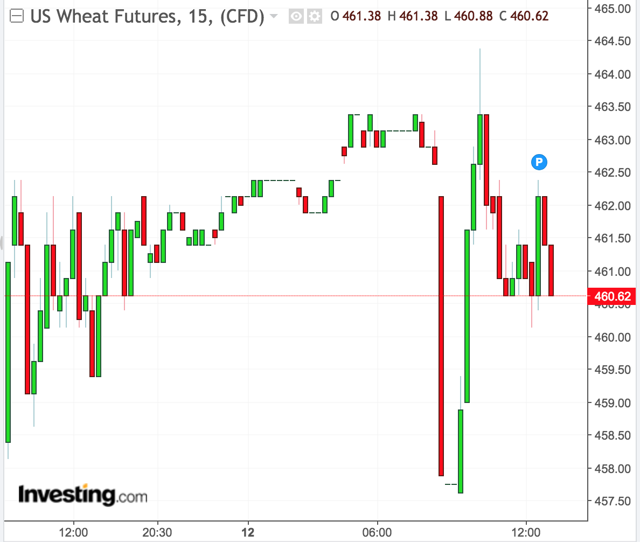 Friday's activity showed just how skeptical or reluctant investors are with the grains market. The market's positive finish was supported by a weaker dollar and a powerful storm system that's dumped more than two feet of snow across parts of the Dakotas and Minnesota. Below is a list of some of the top snow totals as of Thursday night: 24" Hamill (South Dakota), 22" Porcupine (South Dakota), 20" Long Valley (South Dakota), 20" Hoover (South Dakota), 18" Cedar Lake (South Dakota), 17.7" Edina (Minnesota), and 17.5" Clark (South Dakota). This will have major impacts on ranchers who have livestock in that region as well as farmers in terms of delays of spring wheat and corn planting which have just begun in other areas of the country. This will add to soil moisture and poor field conditions. In addition, soil temperatures are still cool across the Dakotas and the northwestern portions of the corn and soybean belt. 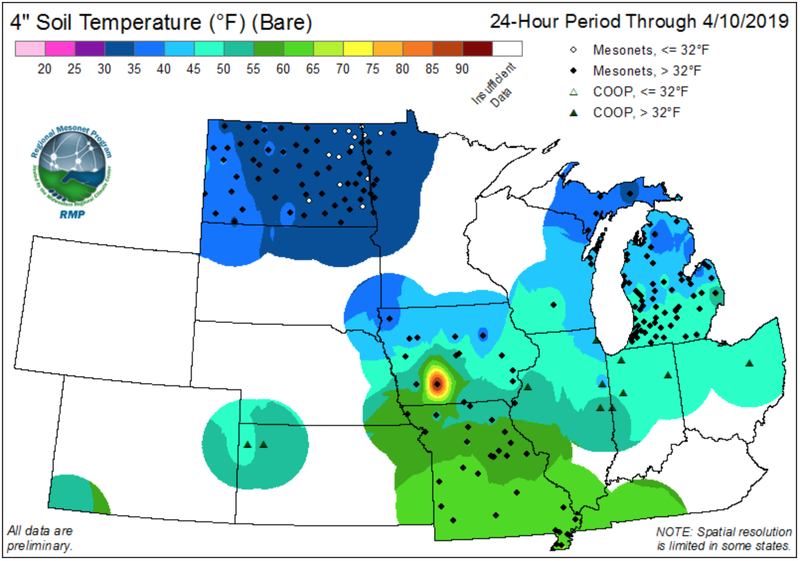 Figure 1 is a map showing the current soil temperatures. The good news is that this same area that's been hit with this blizzard across the Dakotas, parts of Nebraska, and Minnesota (spring wheat and northwestern corn/soybean belts) is that these areas will see a drier pattern over the next seven days with the bulk of the precipitation occurring across the Lower Mississippi Valley (Delta) into the central and eastern parts of the corn/soybean belt. 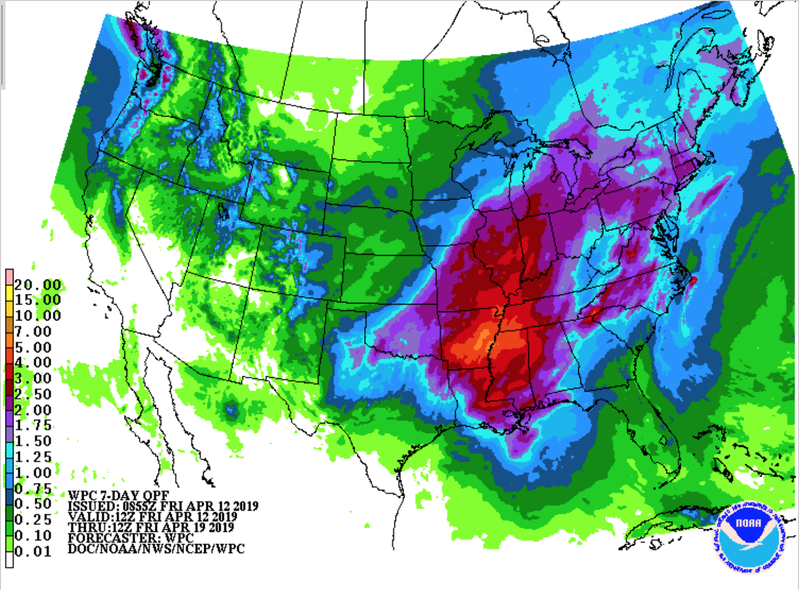 Figure 2 is a precipitation outlook over the next seven days. As previously mentioned, the other area of support on Friday was in the U.S. dollar which showed weakness in the morning. The U.S. dollar index was last seen down 0.25% to $96.56. Weakness in the dollar supported a broad rally in the commodities sector. U.S. May corn futures finished up this afternoon 0.17% to $3.6062. U.S. May soybean futures was flat up only 0.04% to $8.9538, while U.S. wheat led all grains up 0.98% to 4.6450. For the less volatile, unleveraged Teucrium ETF grain products, the Teucrium Corn ETF (CORN) was up 0.33% ($0.05) to $15.33, the Teucrium Soybean Fund (SOYB) down 0.06% ($0.01) to $15.94, and the Teucrium Wheat Fund (WEAT) up 2.62% ($0.14) to $5.48. Figure 3 below is a chart of the front-month May futures contract for corn price trend over the past seven days. Figure 4 below is a chart of the front-month May futures contract for soybeans price trend over the past seven days. Figure 5 below is a chart of the front-month May futures contract for wheat price trend over the past seven days. May Chicago Soft Red Winter Wheat (SRW) futures was up 4 cents to $4.644, with May Kansas City Hard Red Winter Wheat (HRW) futures up 4 cents to $4.414, resulting in a 23-cent premium of CBOT wheat to KCBT wheat. The CBOT-KCBT spread is still bearish, but has become more bullish recently. MGEX's Hard Red Spring Wheat (HRSW) May contract was down $0.20 to $5.312. Despite the market in positive territory on Friday, upside was limited as indicated with all of the choppiness. The paring of gains at times also showed that there's no strong confidence into buying into this market. Strong supply of old crops both domestically and internationally and trade uncertainties continue to dictate the market overall with a bearish sentiment.